Sometimes it’s nice to know exactly what the prize is that you are playing for before the bingo game starts, especially if it is a big prize. That’s the case with the Sing Bingo game called The Big Break that plays every week until further notice. Here you will have an opportunity of winning a share of a total prize pot worth £1,500 as basically this is an everyone’s a winner online bingo game. The game is open to funded players and takes place every Monday at 9 pm. It is a 75 ball bingo game and you play for the straight full house or coverall as many people know this by. If you are the lucky winner of the full house then you will receive a nice cash prize of £500. If there is more than one winner then the cash prize is simply split equally amongst each of the winners. Then all other qualifying players will take a share of a £1,000 prize pot. Tickets for the game cost just 10p each and you can purchase up to 96 tickets. So the more tickets you have the greater the chance you have of being the lucky winner taking away the £500 top prize. 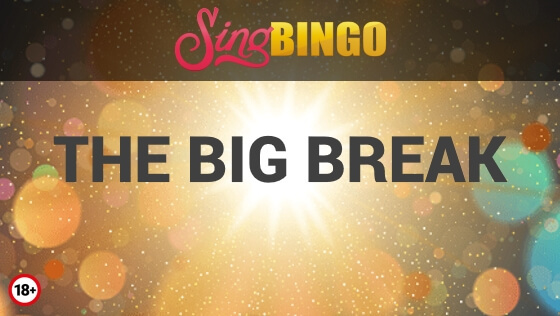 If you are not yet a member of Sing Bingo and would like to join and take part in The Big Break game then just click either of the blue buttons on this page and you will be taken to the Sing Bingo Login / Homepage where you can register as a new player. 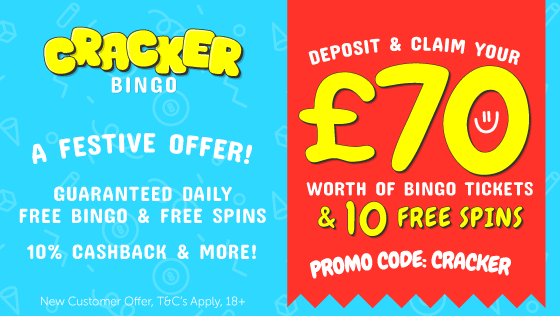 Once you have opened your account you can then claim the Sing Bingo Welcome Offer where you will receive 120 free bingo tickets when you deposit just £10. This is a great way to start your play at Sing Bingo.